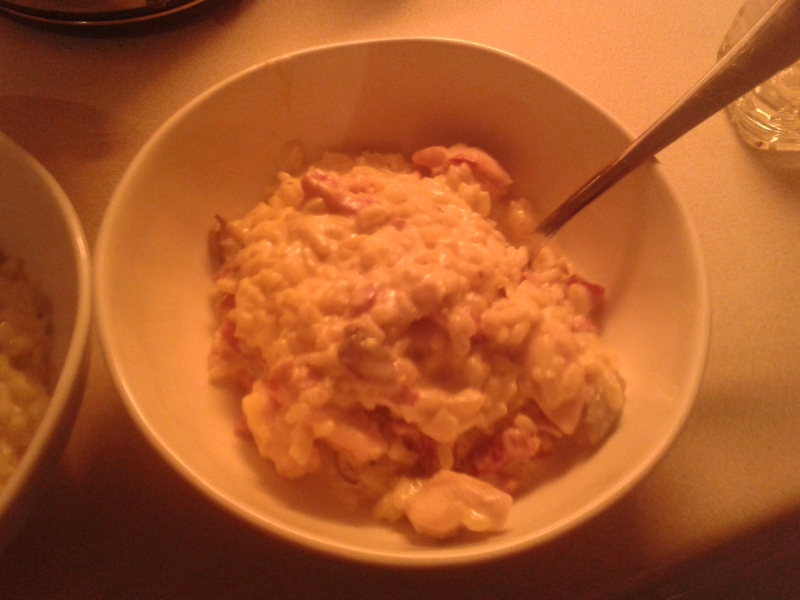 Every now and then, I love myself a nice little risotto. And since the other day it was my turn to cook for our weekly movie nights, I decided to go for a recipe that’s really easy (too easy) and that requires very little effort. Start by measuring out the rice and putting it in a very large and deep pan. 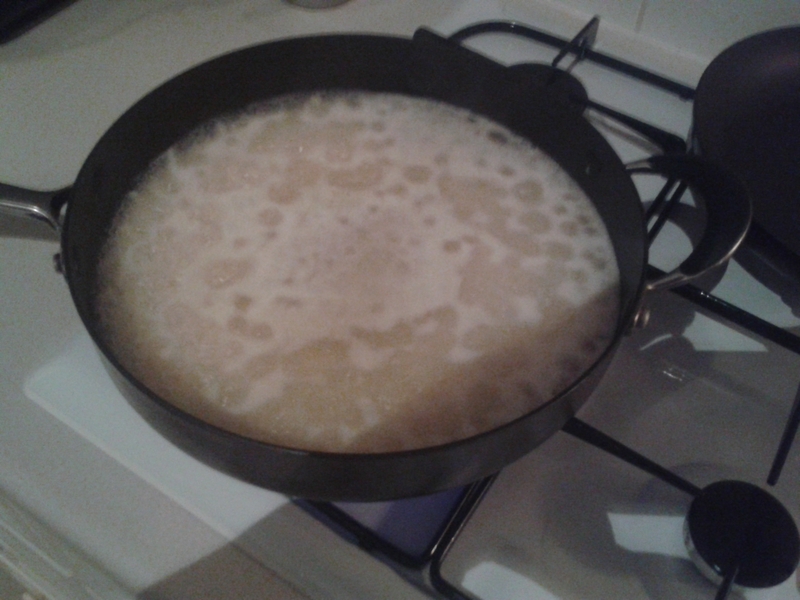 Add the stock cubes then boil some water (or add it cold) and start cooking the rice. The rice will absorb the water fairly fast, so whenever it’s halfway down, add more. 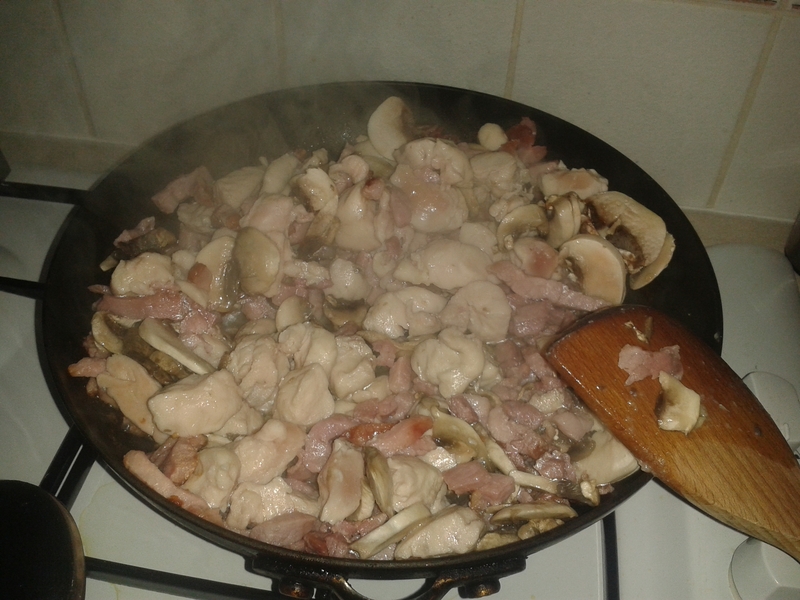 Cut the chicken into small pieces, and slice the mushrooms any way you like. 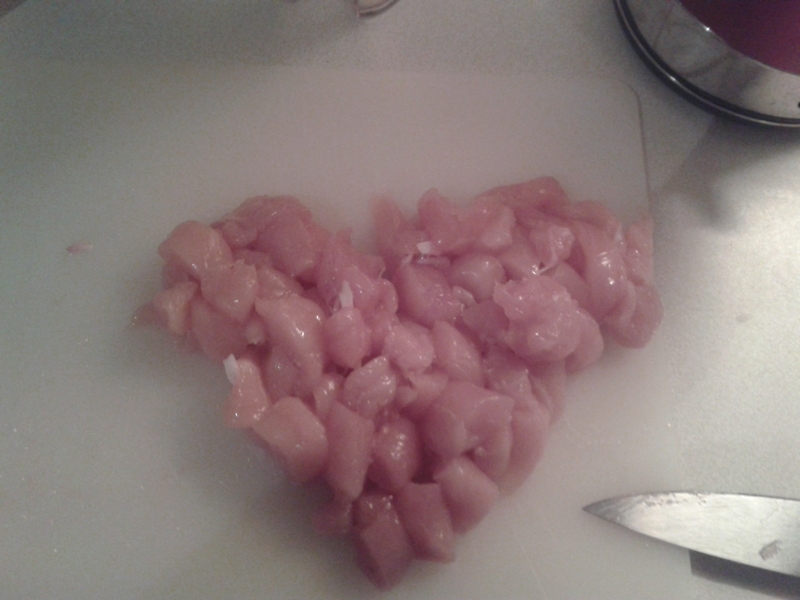 Accidentally diced the chicken into a heart shape! 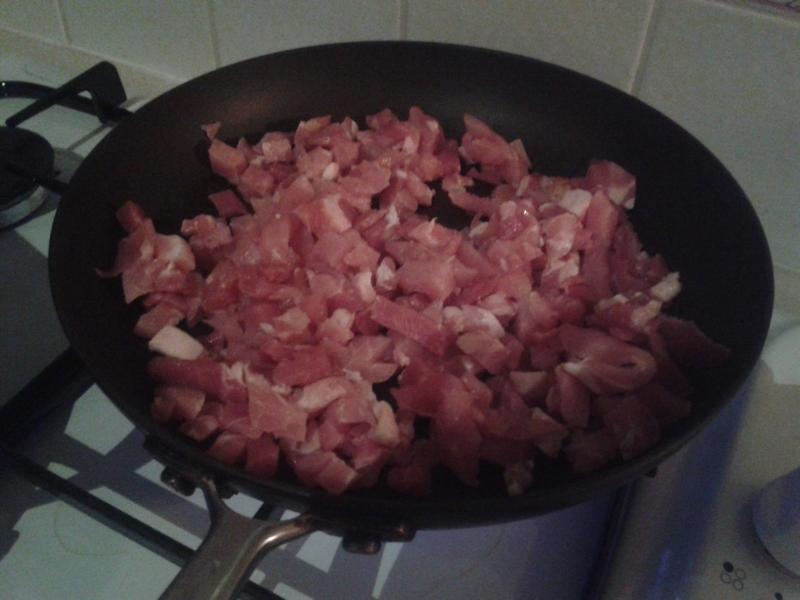 Start by frying the bacon on a low fire (also in a biggish pan). Do not add any oil or butter, cooking bacon has a tendency to have a lot of fat still attached and it’ll fry better in it’s own fat anyway. When the bacon looks darker, add the chicken. This will give it a bacon-y taste which is super delicious. When the chicken is white, add the mushrooms. Stir well so they brown easily in the bacon fat. 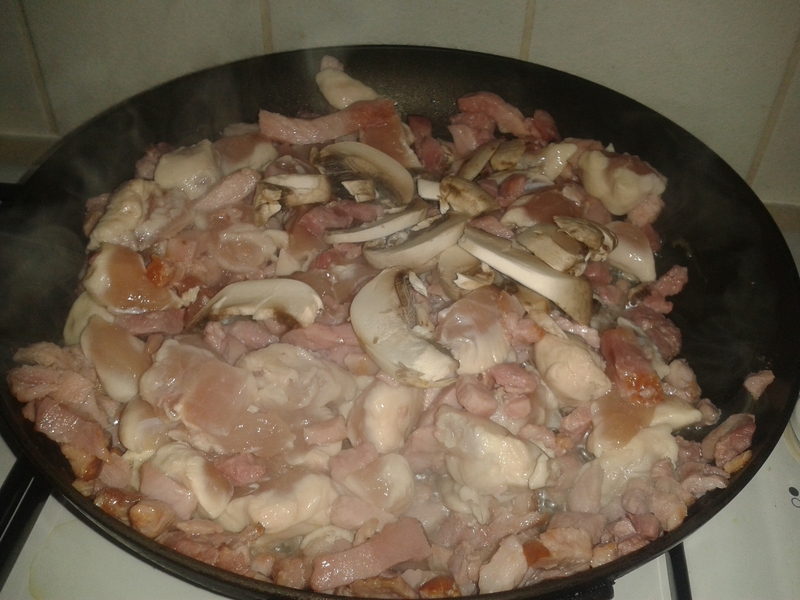 Keep stirring the bacon, chicken and mushroom on low fire until the rice is done. Then pour it into the rice and stir well. Add the cream and carefully mix everything together. Serve in bowls, and add some herbs if you want to! If you’re not a fan of rice, you can also do this with pasta. 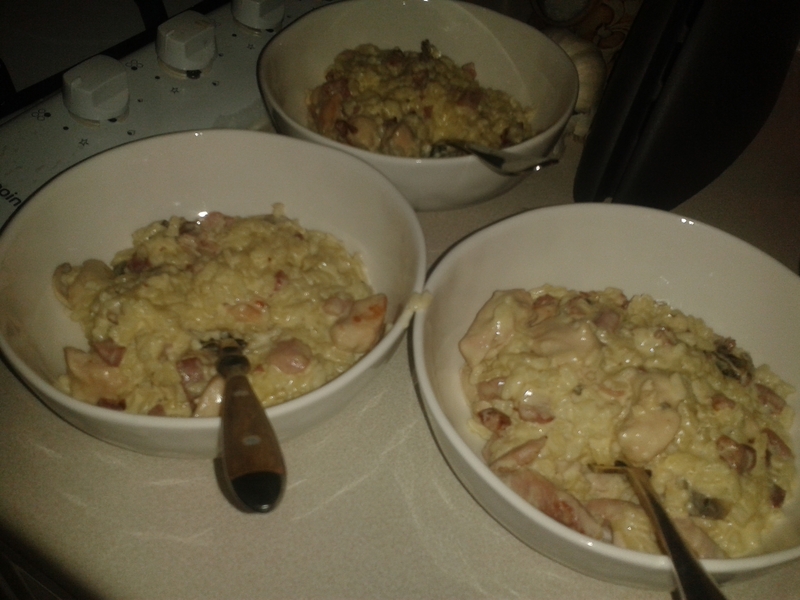 Tags: arborio, bacon, chicken, cream, rice, risotto. Bookmark the permalink.